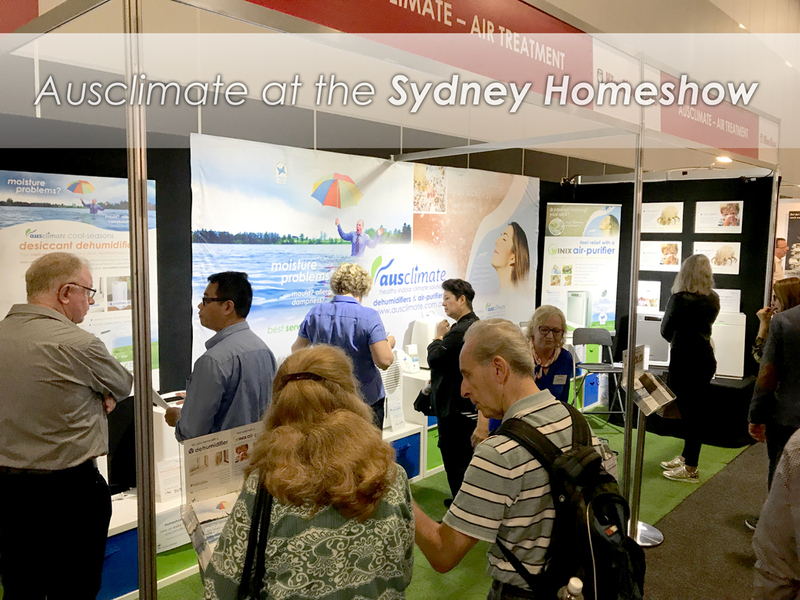 The busy times continue for Ausclimate in April; after finishing up a huge Sydney Homeshow, we're now onto a big week with our Costco Auburn Roadshow event! The Sydney Homeshow was another big one for us. It was great as always to see so many people and also to catch up with many previous customers to provide some handy day-to-day usage tips. The big one of the day was to remember to clean those filters! We were AMAZED by the number of people with home moisture and air quality problems who we were able to help, as well as those who had bought units in the past who came back to buy more this year! 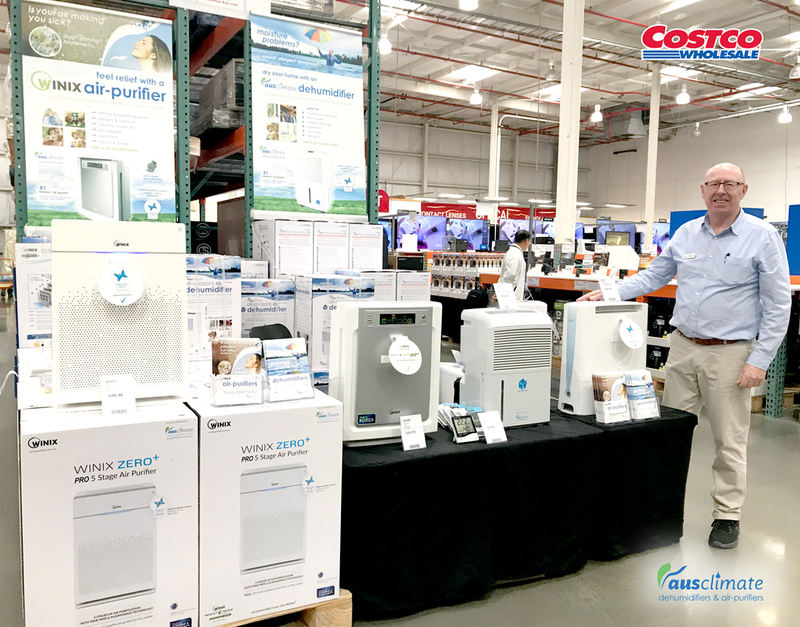 We're currently in the midst of our Costco Auburn Roadshow event, so a reminder to all of our Sydney Costco members to come on down, say hello and see our award-winning range with some excellent, not-to-be-repeated Costco specials! Chris and I will see you there. P.S. We've got a very special announcement that our Winix Zero 4 Stage Air Purifier (AUS-1050AZBU) is now available for purchase at Costco stores nation-wide! A BIG thank you to Costco to helping us get these great machines out there to the people who need them. 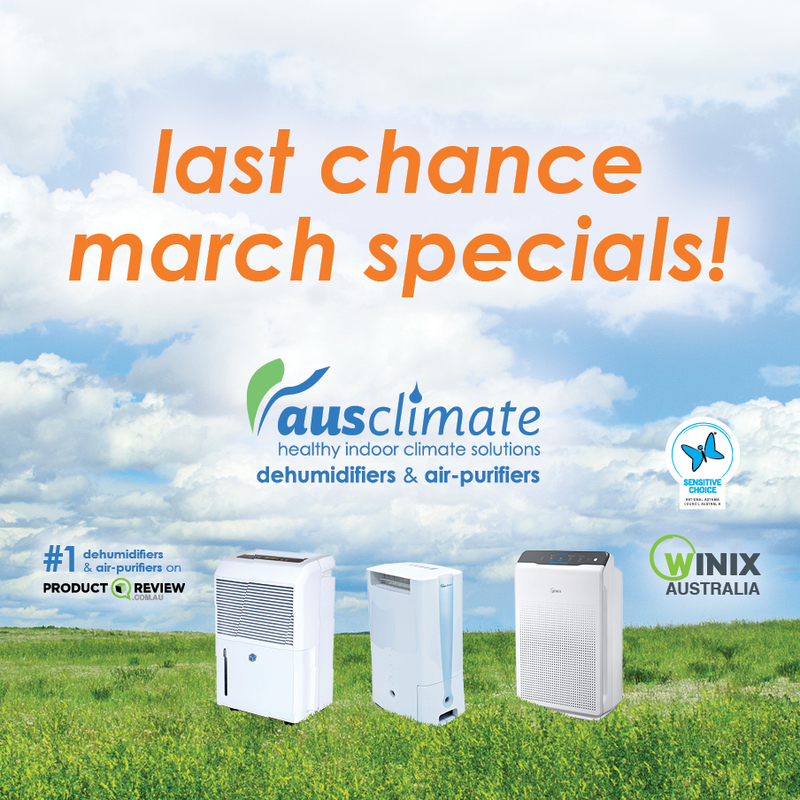 Ausclimate's Air-Purifier and Dehumidifier ranges are approved by the National Asthma Council Australia Sensitive Choice Program. Our products are proudly manufactured and tested just for Australia. 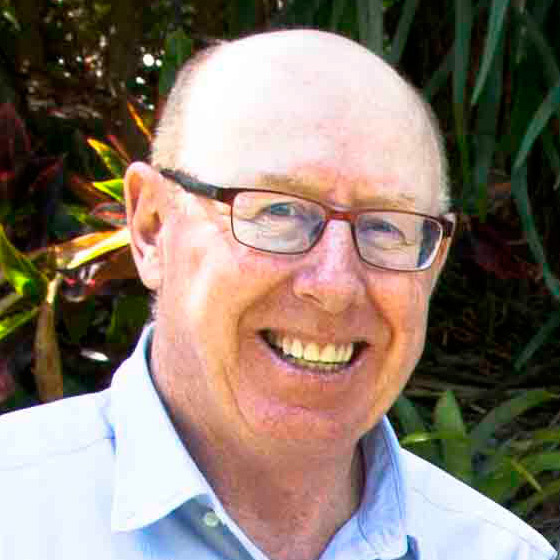 Ausclimate is a family owned Australian company since 2011, industry leaders in customer satisfaction. Yes, you read it right; we're inside of the last week of our 'Marvellous' March Specials and these prices just can't last. So a friendly reminder for all interested in a top-quality Dehumidifier or Air-Purifier - now is the time! It's been a busy month here at Ausclimate with all sorts of events and happenings. Earlier this month, we had a great time appearing at the Brisbane Homeshow on behalf of our friends at the Sensitive Choice Program of the National Asthma Council. We got to speak to a variety of people suffering from asthma and assorted respiratory issues and spread the word about how air purifiers and dehumidifiers can really help. April is looking like another busy one; for those of you in the Sydney area, please come on by to see myself and Chris at the Sydney Home Show. We're then onto Costco Auburn for all of you Costco members out there. We'll have our range of air purifiers and dehumidifiers on display, with some excellent deals available exclusively for both events. We've found an excellent article from the ABC about the dangers of mould & dust mites in our mattresses and pillows and how often you should be replacing them to avoid it! It gives some really great insight on the topic from some excellent industry professionals. 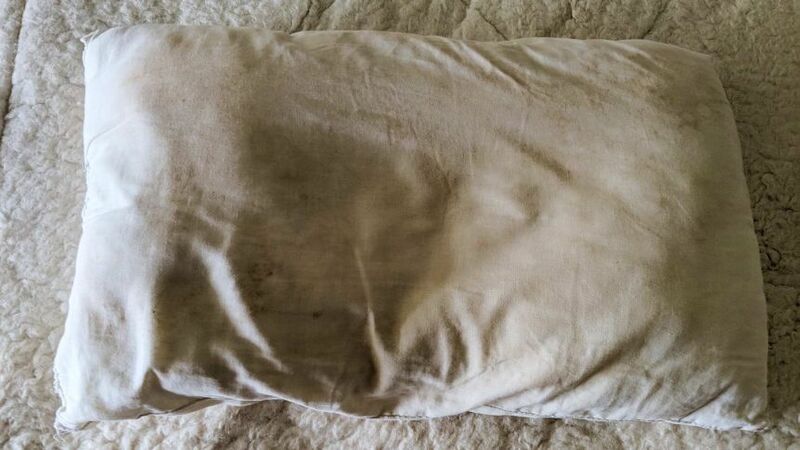 How often should you change your mattress and pillows to avoid mould and dust mites? Thanks guys, as always please don't hesitate to get in touch if you have any questions at all. Always here to help! 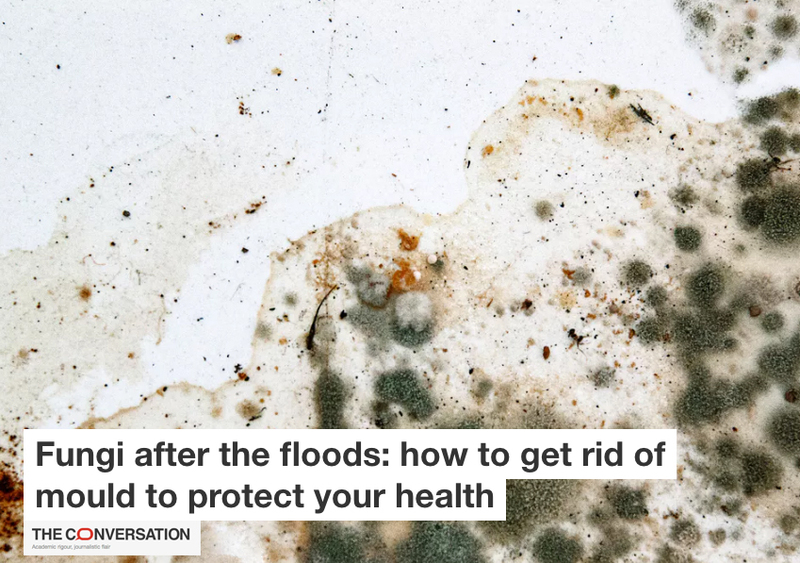 A great article here from The Conversation all about post-flood and water damage mould - very timely in light of the recent Townsville floods. You'll find some great tips about treating these mould issues, along with related health concerns and how to protect yourself through the process. Thanks guys! As always, please don't hesitate to get in touch if you have any questions at all. 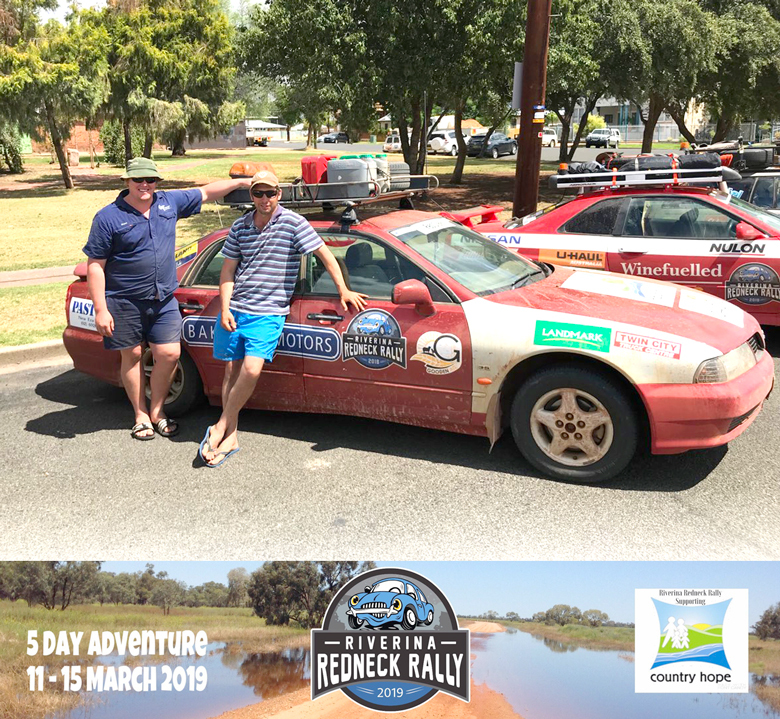 Ausclimate are proud to support Captain Shaun Gooden's car in the upcoming 2019 Riverina Redneck Rally to raise funds for an excellent cause, Country Hope. Great job guys, best of luck! 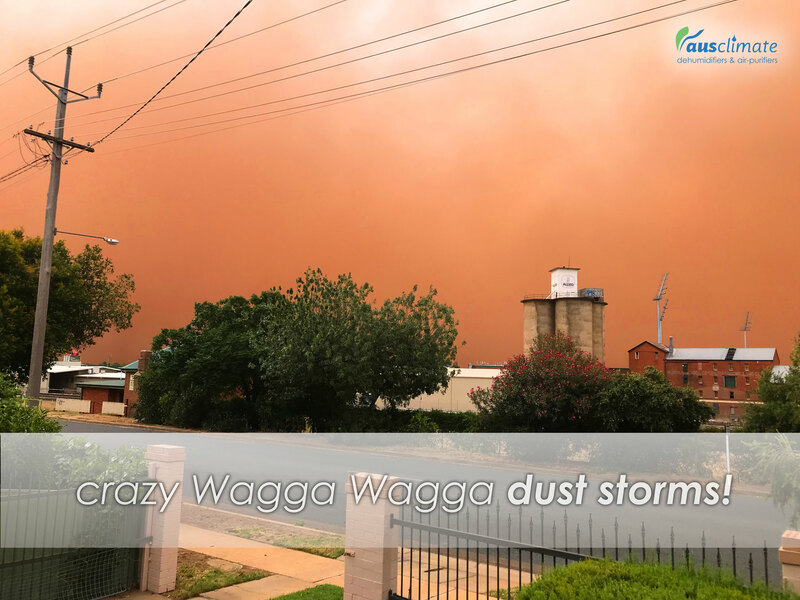 Yesterday we experienced a big dust storm in Wagga Wagga that turned the sky orange! January proved the dustiest on record and according to weather experts, this 'dusty season' is far from over. We find the Winix Zero 4 Stage Air Purifier so energy efficient that we keep it running all day. Well, thank goodness we did in this crazy dust storm, as thankfully we didn't end up with a spec of dust in the room! These dust storms can be just terrible for people with dust allergies and respiratory issues, so it's great to know just how effectively the Winix air purifier kept that dust at bay. A great tip to all of our air purifier owners out there to keep your units running during this dusty season! Introducing our New ZERO air purifier range! 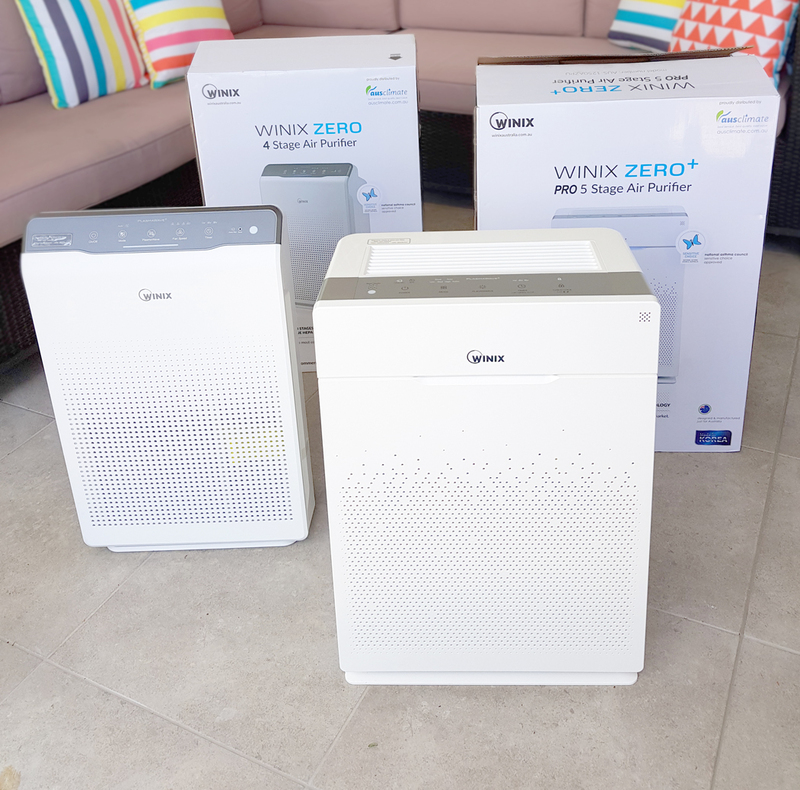 We're very excited to announce our latest additions to our Winix Australia air purifier lineup; our newest Winix Zero Range. We've had a great early response to this range with our new month launch over the weekend and are very excited about the unique benefits that this range will bring to our customers. We're happy to be celebrating this launch with some very limited 'Zero Launch Specials'. So if you're in the market for a new air purifier, please do not wait, as these prices will not last long! 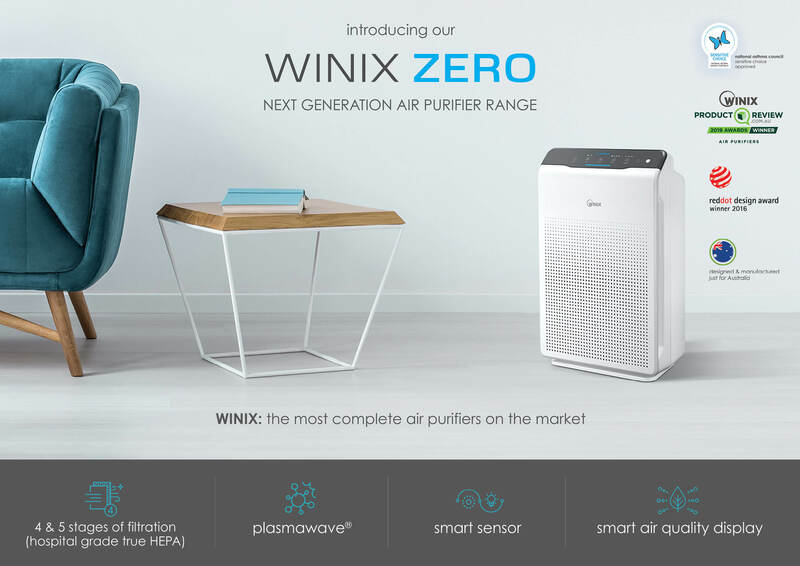 Our next-generation Winix Zero range consists of our Zero 4 Stage and Zero+ PRO 5 Stage Air Purifier. These machines have won a variety of international awards, as some of the most stylish, advanced design air purifiers in the industry. Manufactured just for Australia, this extremely energy efficient range are top quality performers with world-class technology and design. Perfect for both home and office / workplace use. The Zero machines do a great job of complimenting our existing award-winning Winix air purifier range with increased, "PRO-level" room capacities, industry-leading Hospital-Grade True HEPA Filtration, Dual/Triple Smart Sensor and reactive Smart Air Quality Display. 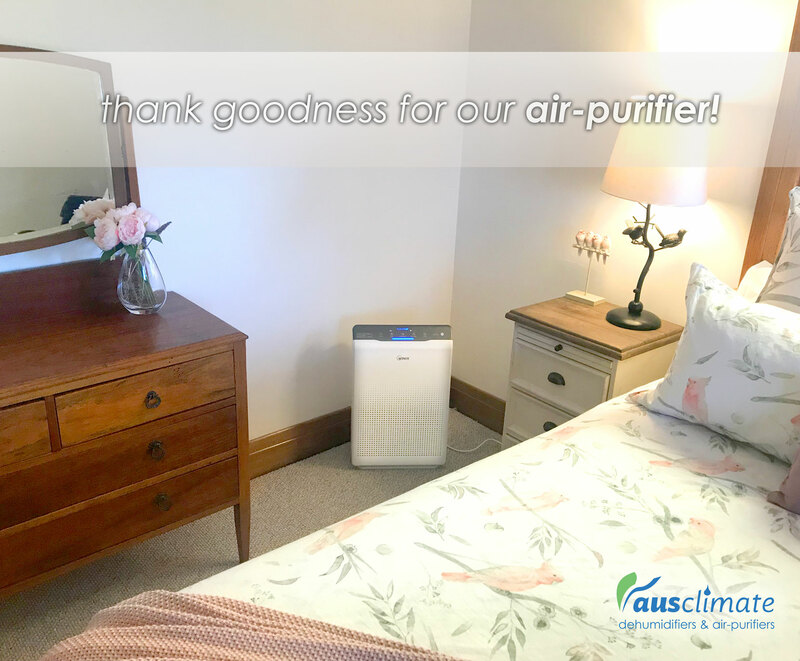 We are very proud of the fact that the Zero+ PRO is Australia's only air purifier with a purpose-built, dedicated 'Pet-Filter'. A must for both dog and cat lovers (filtering the air of pet hair and dander), as well as the pets themselves, protecting from a range of dog and cat viruses. Approved by the National Asthma Council Sensitive Choice program, the Zero range provides much-needed relief to asthma sufferers and those affected by respiratory issues, in addition to anyone wanting to protect themselves and their families from the harmful effects of polluted indoor air. Breathe easier, sleep better, feel better. Winix Australia; the most complete air-purifiers on the market! We've also put together this handy comparison chart so that you can see exactly how our full range compares to one another. Please take a look at this new range and don't hesitate to let us know if you have any questions! I was delighted to deliver the special prize in-person today to our very deserving winner of our Christmas Air Purifier Competition, Danielle Roberts. It was lovely to meet the whole family, including Danielle & her 3 beautiful and energetic little triplets, Raine, Ivy and Harper (pictured). 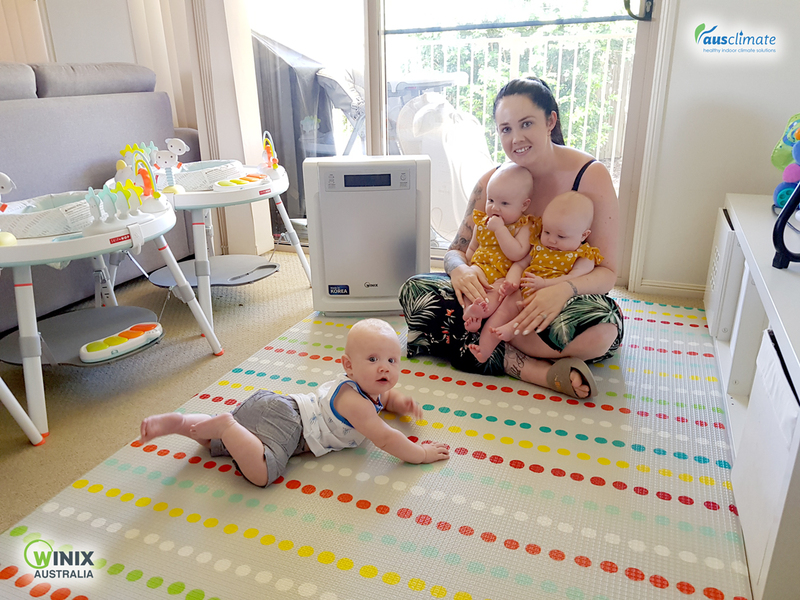 As Danielle and Dean's youngest family members suffer from eczema and risk of respiratory infection and older daughter, Ellie suffering from severe dust allergies, we sure hope that this WINIX Ultimate 5-Stage Air Purifier can be a real difference-maker for them. You are more than welcome Danielle, it was our pleasure. This is what the spirit of our Christmas Competition is all about - helping people. Thank you Danielle, it was wonderful to meet you and your family. A Dehumidifier for Soap Making? We're always very excited to hear of new and interesting uses for our dehumidifiers and today we got a great one! Linda Lasker of Lather With Linda is using our highly-rated NWT Medium 20L Dehumidifier during the curing process of her wonderful handmade natural Castile soaps. 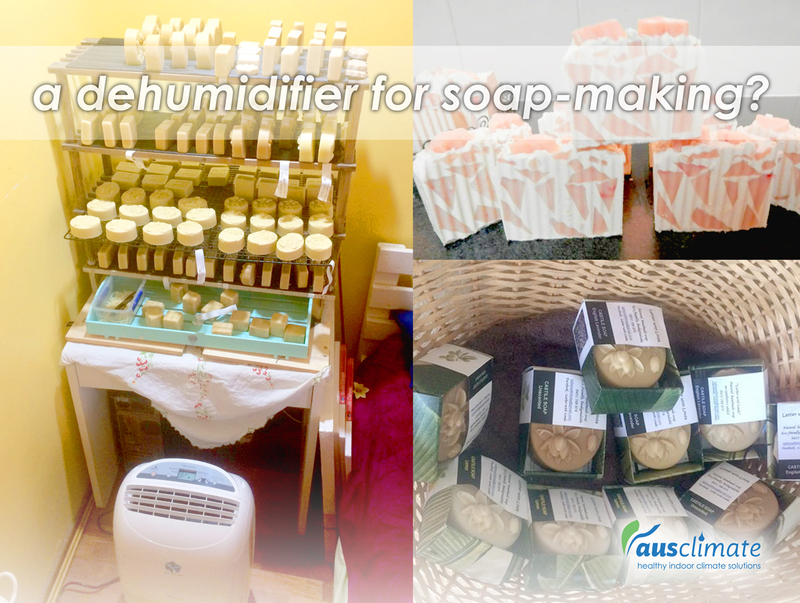 Linda uses our dehumidifier to keep the room humidity levels low while her soaps are curing. Linda tells us that this can reduce the overall curing time by approximately two weeks in our humid Queensland climate. How interesting! Thank you for letting us know about this Linda, great stuff! If anyone else out there has an interesting use for our dehumidifiers or air purifiers, please tell us all about it. 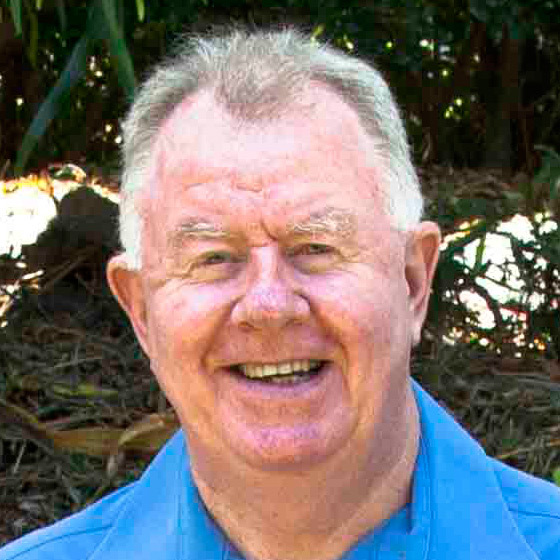 If you're in the greater Brisbane area, make sure to take a look at Linda's "Lather With Linda" Facebook page. She does a great job. Lovely to see someone following their passion. We are happy to hear that Linda's soaps are mild and gentle, (with no chemicals or artificial agents) great for those with skin sensitivities and also great for pets! Made with extra virgin olive oil and drizzle of extra virgin coconut oil to give lather and longevity and a dash of raw honey (harvested locally). Unscented, Lavender pure essential oil bars and Lemon pure essential oil bars. Extremely good value and eco-friendly, biodegradable and great for those who enjoy camping and the outdoors. Linda is based in the Jindalee, QLD area and her products are available to pick up by appointment. Thanks again Linda and a very happy new year to all of our Ausclimate friends out there! Merry Christmas everybody! It's time once again for our big Ausclimate Christmas Air Purifier Competition Winner Announcement. 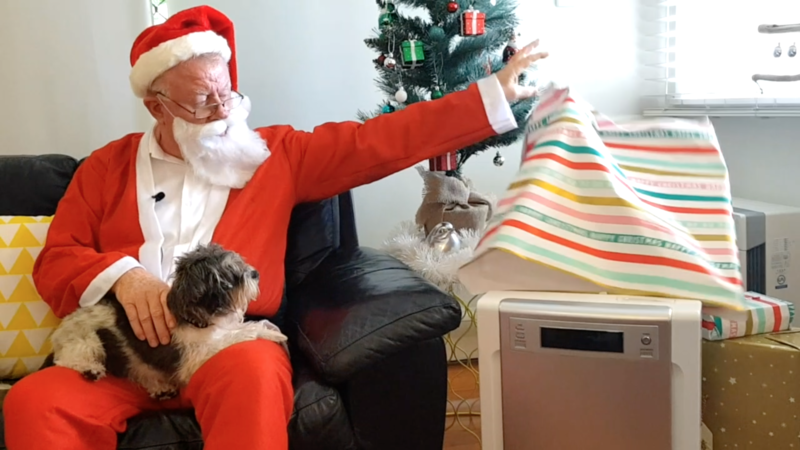 Please give our announcement video a watch to hear from our Ausclimate North Pole Regional Manager, 'Russell Claus', accompanied by our lovely, furry team-members, Jelly & Ziggy. We'd like to give a big congratulations to this years' big winner, Danielle Roberts! Once again, it was just such a tough decision but we're delighted to be able to give this gift to Danielle & her 3 beutiful young ones, who who are currently at high risk of respiratory infections. We really hope that this WINIX Ultimate 5-Stage Air Purifier can make a BIG difference in the lives of Danielle & her whole family. Congrats Danielle, please get in touch with us so that we can get you your prize! The same as last year, it really was just such a difficult decision, with so many deserving entrants & so many heart-warming stories. So as 'Russell Claus' mentioned in the video, we are thrilled to have our 1-day BOXING DAY SPECIAL as a way for us to give back so that everyone who didn't win can still get an air purifier at the best possible price. Thank you again so much for your excellent entries, they really mean just so much to us. We are proud to be offering an EXTRA 15% OFF our already reduced Ausclimate website special sale prices store-wide when you mention "Boxing Day Sale" during over-the-phone purchases this Boxing Day. That's savings of up to $380 off our RRP for our multi-buy air purifier specials! To take advantage of this offer*, please visit the rest of our website to view our full range of dehumidifiers & air-purifiers, then call us on 1800 122 100 (freecall) to redeem this offer making sure to mention our "Boxing Day Sale" when leaving your order/details. We will then return your call the following business day to process your order. *Offer eligible when mentioned during over-the-phone orders only on Wednesday December 26th 2018. 15% off all current listed Ausclimate website prices for Ausclimate over-the-phone orders only. Offer not eligible on previous orders, commercial range or climate gauges. Not to be combined with other offers. We hope that every one of you has a wonderful Christmas & a happy new year!